A rich sensory life not only creates joy and meaning, but it’s how kids learn to reason, think, and feel. We hear, taste, see, feel, and smell the world—all of human experience is sensory. We use internal representations of senses by picturing things or retelling conversations in our mind. Lesser-known but crucial sensory systems also develop in early childhood: the vestibular system, which detects movement and gravitational pull; and proprioception, which gathers information about the body in space. We use the natural world to explore all of the senses. The natural world is the best source of sensory delight. It’s filled with bird calls, sunlight, prickly grass, and ripe strawberries. As Richard Louv writes, “Any natural place contains an infinite reservoir of information and, therefore, the potential for inexhaustible new discoveries.” Our yards are especially rich in fragrant plants: rosemary, mint, sunflowers, and geraniums. The sense of touch is key to overall development. Psychologist Nancy Dess underscores the importance of human touch: “Without touch, infant primates die; adult primates with touch deficits become more aggressive.” Young children fail to thrive without human touch, and they want to touch everything around them. Children, still developing their tactile systems, strengthen their brain with each new experience. The sense of smell is ancient and linked to other senses. Smell is the most primal human sense and is strongly connected to memory and emotion. The brain evolved from a pair of olfactory glands, so smell is an ancient sense linking us to the rest of the animal kingdom. The nose is responsible for much of our sense of taste, picking up 10,000 more flavors than the tongue. Acclimating children to a wide range of smells can also create adventurous eaters. Taste is infants’ gateway to the world. The mouth is one of the first organs to appear in human embryos and continues to be primary in babies, who put items in their mouths to gather information. Taste continues to be a strong and emotional sense for young children. The language of tastes and textures is vast—sour, sweet, lively, tart, savory, smooth, crunchy, warm, and cold. Sometimes we talk about listening to ourselves chew: “Crunchy foods are loud!” Our fruit and vegetable snacks and child-accessible gardens help kids develop a taste for healthy and strong-flavored foods. Eyesight matures during the first two years of life. Humans are not born with a fully developed sense of sight. Newborns can’t control focus, eye movement, or use their eyes in tandem. Their visual development goes through radical growth in the first two years of life; therefore, young children especially relish interesting visual experiences. They will squat down to see underneath something to discover hidden objects. They will marvel at looking through binoculars, because it allows them to see details of objects faraway. Delighted and attached to visual imagery, children sometimes express intense reactions when they can’t have a desired color or texture. Changing children’s perspective reveals alternate points of view. Playing with water and ice teaches children about their properties. Children use the proprioception system to know where they are in the world. With eyes closed, ears plugged, and without touching anything, we can tell where our body is and what shape it’s in; this is proprioception. It is the sense of the body moving in space, and it entails positioning, movement, and joint pressure. Biting and chewing also use proprioception. When children jump and play, they gather information about lengthening and contracting muscles. They lift things to learn how much strength is needed and practice how hard to push a pencil tip or pick up a paper cup without crushing the object. Learning to position the body is crucial to navigating the physical world successfully. The vestibular system is essential and allows us to feel grounded. The vestibular sense uses the inner ear to detect movement and gravitational pull. It’s the first sensory system to develop fully, and, as it coordinates information from other senses, it influences almost everything we do. If you’ve had a case of vertigo, which is a disruption of the vestibular system, then you know it’s almost impossible to function without it. Getting lots of sensory stimulation to the vestibular system is crucial. 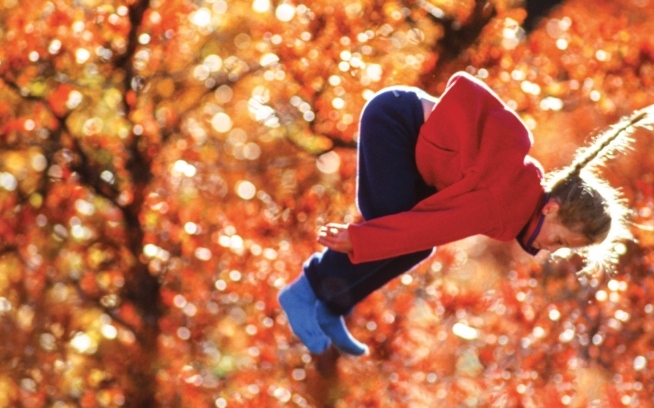 Flipping upside-down challenges the vestibular system, and we also encourage games and provide equipment that exercise the vestibular system, including rolling, spinning, balance beam, hammock, slides, ball play, and freeze games. The children control the speed at which they spin or rock. Dancing helps children control their bodies. Dancers who refine the art of moving the body in space for years have very well-developed proprioceptive systems. We dance with children daily. We have many dance parties and create improvisational games so that children can play with movement, enjoying and developing control of the body as it’s moving through space. Children enjoy playing with sound and music—and it does them good. Research now shows that quality music programs teach children more than music. They improve reading, language, and math skills. Our music teacher understands that children delight in music and unexpected sounds. They love to imitate what they hear or imagine: the whirring of a motor, the drone of a siren, or the roar of a lion. 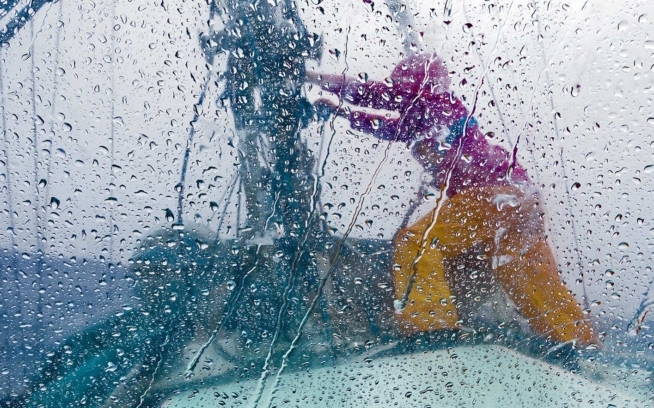 Much of play is ebullient and loud, while another type of play requires quiet focus. Teachers carefully consider how to deal with both. 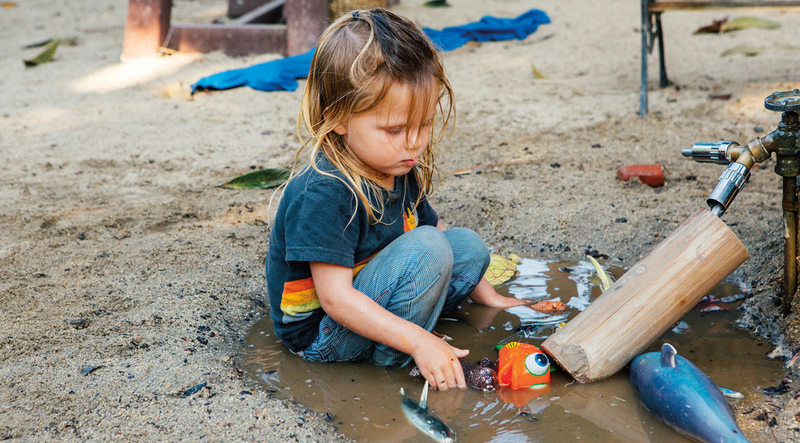 Messy sensory experiences inspire creativity and imagination. Full sensory experiences are often messy. 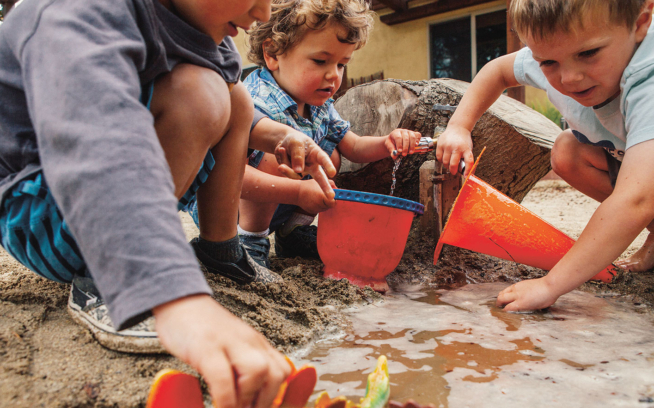 The value of sensory play outweighs any individual teacher’s tolerance for mess. We intentionally offer messy activities, ensuring kids get the sensory input they crave. Nontoxic paint is rich in color for the eyes and texture for the sense of touch. Teachers set up the materials so that children can get it between fingers and toes, even in mouths. All surfaces can be canvases, including the body.